While current District 1 congressman Matt Gaetz is busy maximizing his Washington DC TV camera time, Pensacola Beach homeowners are scrambling to put financial documents in order before tax season. They might have less to worry about, if Mr. Gaetz had properly handled the process to convert beach lease properties to title. Instead, Gaetz managed to alienate Senate support for the measure by peddling a Navarre Pass provision the military has, for years, made clear would interfere with operations in the Gulf. Gaetz further eroded local support for the bill by sneakily omitting public access protection for Santa Rosa beaches, then insinuating that the bill would preserve those areas. Unfortunately for beach homeowners, Florida’s U.S. Senate representatives AND local residents know how to read, and managed to identify Mr. Gaetz’s subterfuge despite little to no mention in the local press. Now, beach homeowners continue to face confusing tax requirements and a wasteful lawsuit process for the foreseeable future. And local residents still lack assurances that public access to our beloved, irreplaceable beach will remain permanently open. Instead, we still face the possibility that future title measures will allow the beach to be roped off. Resolving this longstanding issue was the most pressing local problem Mr. Gaetz was responsible for. Instead, he flubbed it by grandstanding about pie in the sky add ons that run counter to our key area military mission; and by turning local residents against beach owner rights by threatening longstanding public access. If Mr. Gaetz had spent a fraction of his Washington political TV appearance time asking local voters what we want for our beaches, the lease question might finally been settled this year. Instead, it remains in limbo; while a seemingly unconcerned Mr. Gaetz is busy adjusting his lighting and perfecting his Washington DC pandering skills. West Florida deserves better. Our citizens deserve better, our beaches deserve better, and our military neighbors deserve better. 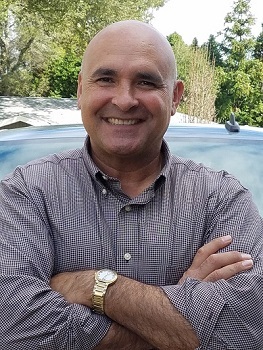 Cris Dosev, a U.S. Marine Corps veteran, is a Republican candidate for the District 1 U.S. House seat. Dosev served as an Intruder bombardier/navigator during Desert Storm. He owns and operates a small business, and describes himself as a family-man, Gator, grateful resident of Pensacola and the Northwest Florida Panhandle, and humble Christian devoted to God, country, and family. Don’t often agree with Mr. Dosev, but I believe he’s absolutely correct in this case. This is complete BS! I was involved in this whole process and Matt Gaetz did the best he could to give us fee simple title to our land.The person Mr Dosev should be attacking for lieing and causeing all these issues is Demacrat Bill Nelson who was the person responsable for this bills failure and your sticking up for him?? ?